This project is on an accelerated schedule with completion anticipated by summer 2019. As early as the week of April 22nd, crews will begin asphalt paving on N. Cloverdale Road. This work will require flaggers and is expected to last most of the week. Shortly after paving is complete there will be a traffic shift on Cloverdale Road. There will be additional information provided prior to the traffic shift. Motorists driving east or westbound on I-84 should be aware of nighttime lane restrictions from four lanes to two lanes between the WYE Interchange and the Eagle Road Interchange. On the nights of March 20th-April 1st, eastbound and westbound I-84 will have lane restrictions in order to accommodate work beginning at 9 p.m. and ending at 6 a.m.
View the map of the detour route. From March 25th-30th, W. Braddock Drive where it intersects with Cloverdale will be closed for work on valley gutters at the intersection. After there will be a closure at E. Longfellow Drive where it intersects with Cloverdale from April 1st-5th, also for work on valley gutters. 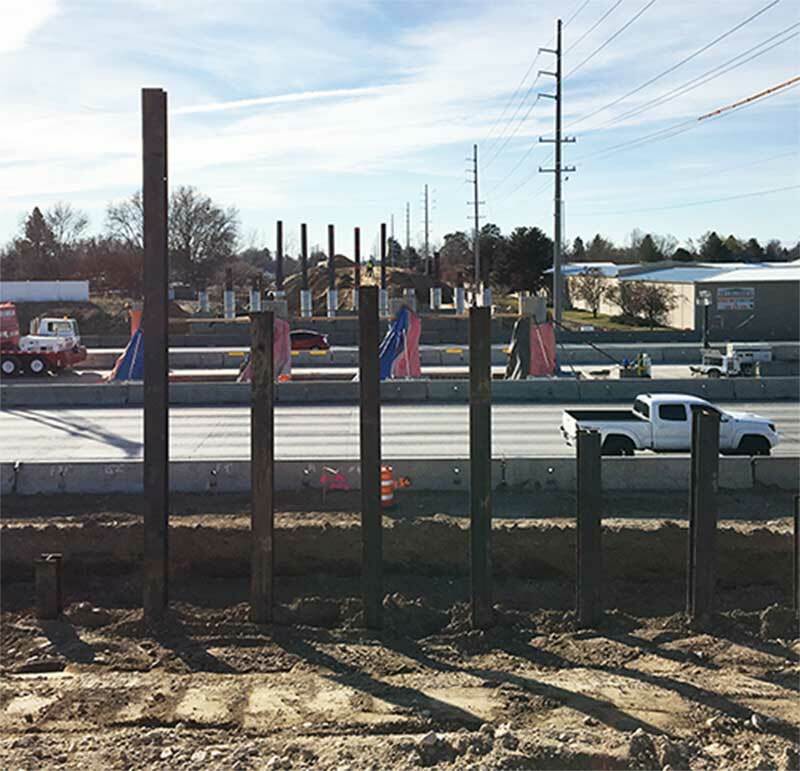 On S. Cloverdale Road crews are working on forming, reinforcing, and placing the southeast moment slab and parapet. Work on the southwest MSE wall will begin the week of April 8th. N. Cloverdale Road crews are working on constructing the northwest MSE wall, and northeast moment slab. There is ongoing work to install curb, gutter and sidewalk including the bike lanes on the west side of the road. The pedestrian signal at Braddock Road, near Spaulding Elementary, was removed on Monday, January 14th and will be down for a majority of the project until a Pedestrian Hybrid Beacon is installed during a later phase of Construction. ACHD is working with the school to provide a safe crossing for students during this work. The public will experience immediate impacts of the construction as crews demolish the damaged bridge over Interstate 84. All eastbound lanes and two westbound lanes of I-84 will be CLOSED OVERNIGHT Monday (December 3) from 9 PM to 5 AM Tuesday morning. All westbound lanes and two eastbound lanes of I-84 will be CLOSED OVERNIGHT Tuesday (December 4th) from 10 PM to 6 AM Wednesday morning. View the map of the detour route. Beginning as early as Monday (December 3rd), pedestrian and bicycle access to the Cloverdale overpass will be restricted. In addition to the bridge removal, crews will be working on setting a temporary barrier at the Ridenbaugh canal and begin work to widen the bridge over the canal. There will be utility relocations ongoing throughout the project. Access to local residences and businesses on Cloverdale Road will remain open. Work will include, but not be limited to: general construction noise, dust, equipment backup alarms, and ground vibration. Work on the roadway improvements for Cloverdale Road will typically be 7 a.m. to 8 p.m. but there may be some night work. Working hours on I-84 and the Cloverdale Overpass may vary or be outside of these hours. Cloverdale Road will remain closed between Franklin Road and Camas Drive during construction, but one travel lane in each direction will be open by June 15, 2019. We are happy to report that the design for both the roadway and overpass has been completed. The next step is to put the project out to bid and bring a construction contractor on board. We anticipate construction will begin in January. Thank you for your continued patience as the Ada County Highway District (ACHD) and the Idaho Transportation Department (ITD) work towards designing and reconstructing the Cloverdale overpass and roadway. 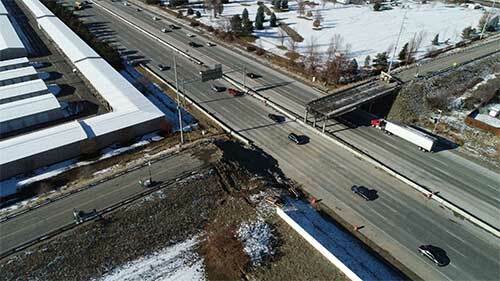 Your are invited to join us at Idaho Power's Cloverdale Transmission Line Upgrade Open Houses to learn about our progress on the Cloverdale Road overpass and roadway project between Franklin Road and Camas Drive. August 22, 2018 | 5:30-7:30 p.m.
Spalding Elementary | 12311 W. Braddock Dr.
August 29, 2018 | 6-8 p.m.
Courtyard by Marriott | 1789 S. Eagle Rd. We will be at Idaho Power's Cloverdale Transmission Line Upgrade Open Houses on August 22 and 29 to share the latest information about the Cloverdale overpass and roadway project. Please join us to review the progress made to date on the project and have your questions answered. In June, the Cloverdale Road overpass sustained extensive fire damage caused from a tragic crash on Interstate 84. As a result, the Idaho Transportation Department (ITD) will be replacing the overpass with a new structure. In coordination with this work, the Ada County Highway District (ACHD) will be improving Cloverdale Road between Franklin Road and Camas Drive. The structure will also have a higher clearance over I-84 and be built to accommodate a future fifth lane expansion of the Interstate.